I applaud@cffatboy’s recent college graduation. Three cheers for his hard work and dedication. No one will ever steal that accomplishment from him, except old age when he’s 101. His journey reminded me of when I graduated college at age 32. I had experienced a difficult time in high school because I lacked guidance, was foolish, and CF had taken its toll on me mentally. I didn’t think I’d need a degree. Why put the effort forth when you are going to die? CF told me. Partying and having fun sounded better, though I did those poorly, too. 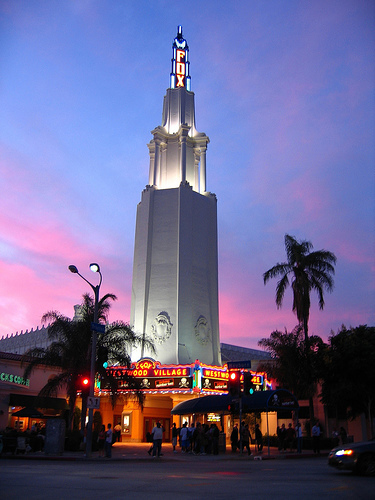 One day, walking to a movie in Westwood Village – I spent my time in movies escaping – a story on the cover of USA Today jolted me hard. It stated that the CF gene had been discovered and a cure was possible. Now had this been a movie, zoom to a close-up of my stunned face, sound effects like car brakes screeching and the camera panning around me quickly, 360-degree style, as my world spun out of control. That simple newspaper story redirected the missile that was my life. For the first time, I believed there was hope and that my thesis about CF killing me might be flawed. It was a revelation in an “oops, what have I been doing with my life” kind of way. I earned my college degree because of that life-changing moment and started believing in the future. The role school plays in my narrative and the narrative of having cystic fibrosis is interesting to think about. My mother decided she would help me live to graduate high school. I became determined to graduate college. And my current goal is to live to see my daughter graduate high school. I’m not foolish enough today to think my story is unique. How many of us now living with CF learned at a young age from a doctor that we wouldn’t be here today. That is the old narrative of cystic fibrosis for many now. Thousands of volunteers, parents, CFers, the CF Foundation, and the Internet came together to defy and change it, to elevate the average life span to 37 years. So, my friends, my question today is: If a new CF narrative exists, what is it? And, drum roll, will it be as wrong as the one the doctors told years ago? This entry was posted in cystic fibrosis and tagged CF Foundation, cystic fibrosis, Internet & CF by unknowncystic. Bookmark the permalink. It will be wrong, as you will see in my article for fear.less that I’m writing. I guess that a case in point is that I’m having a hard time deciding what to do with my time: write for myself/others, work on my company site for the betterment of my company, or dig up new prospects for client work without improving my site. Let’s show them just how wrong their narrative is, as I “should have died at 18.” I have written proof from my parents that they didn’t expect me to hit 30 when I was 23. Thanks for featuring me in such a cool way. It’s my pleasure to include you. I’m going to include you and one of your posts in my next post. This simple story has really helped me focus my time on what’s important each day.